We did a series of surveys and focus groups with teachers and students and we came to very interesting conclusions. We had an obsolete web in hand that needed a new architecture, a new design and simpler registration processes. We create a collaborative space for students to generate content through social media modules. 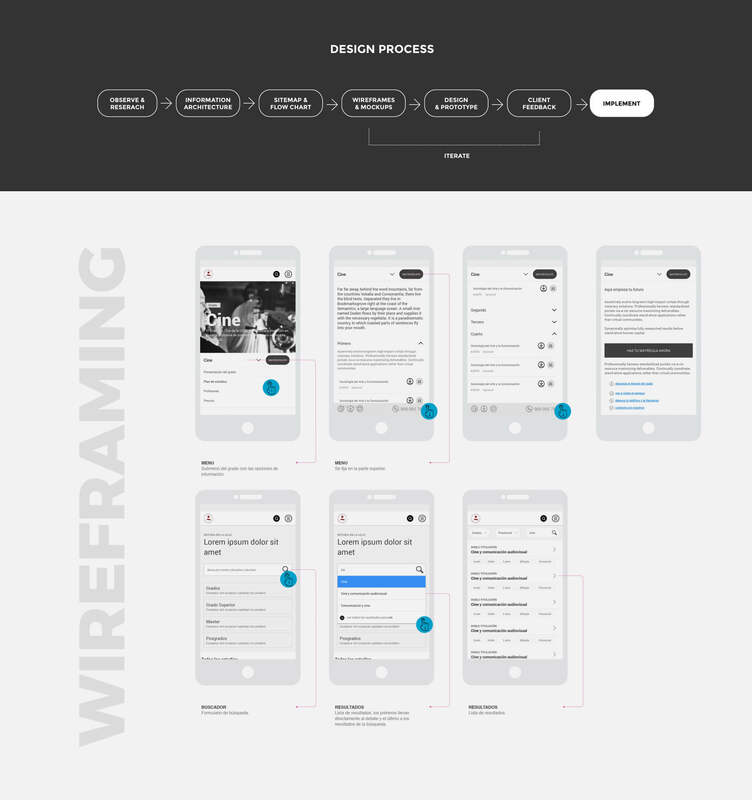 I collaborated in the research and in the elaboration of the wireframes but my hard work began when it came to putting skin on those wireframes and creating a new line of communication and art direction and translate it into the interface. This implied a new tone of voice, more fresh and direct, and a more aspirational style of photography and video. 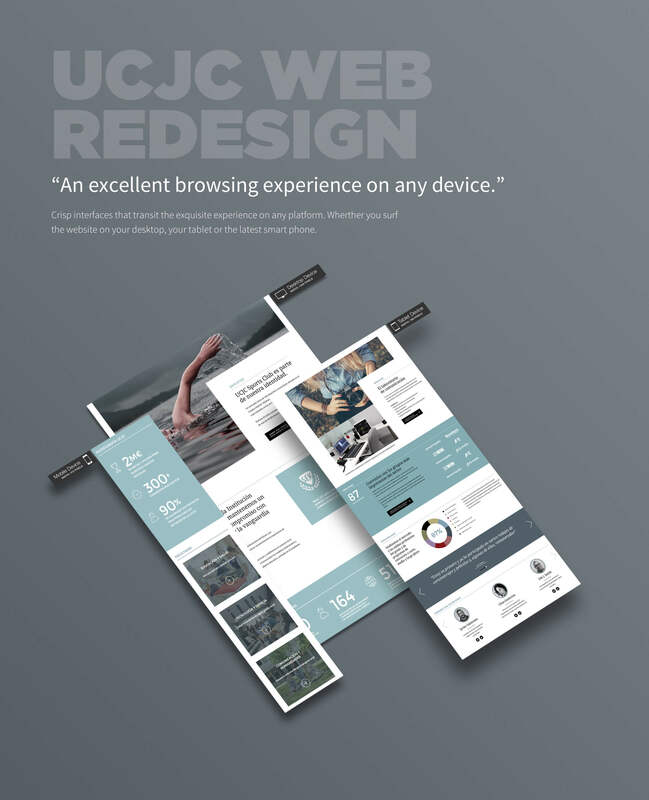 Create a modular design system, with a typographic scale, a color palette, a library of icons and achieve a multi-device web that could continue to grow without losing consistency.